As one drives up the SS24 towards Montgenevre the snowy peaks await – every bend in the road sets the nerves tingling with anticipation of what lies ahead. When one finally arrives at the village one is immediately struck by the intimacy of this ski resort. Seeing it from a handiski point of view one is sees exactly what an attractive resort it is for people with all types of disability. The resort is horitzonal and therefore ideal for wheelchairs (again one is dependent on snow level). To the right there are is the tourist office following by a small row of shops, ski rental, ski outfitters, small but adequate food shop, charcuterie and boulangerie. These are set back on a small side street. There are a few really good places to eat – sit and enjoy the view and the mountains are accessible for everyone to enjoy one way or another! What immediately draws the eye is the debutant ski area to the left of the road – it is wide, gentle and an ideal location for beginners. There is a magic carpet of some length so fun for everyone. The ski school, lift pass etc. are located in this central area. The tourist office is centrally located and has wheelchair access with lift. Ski 2 Freedom Foundation first discovered Montgenèvre and the ESF back in 2009 - very soon after we started our work. It proved to be the ideal location as a ski resort for a group of 16 - 18 year olds from a Special Needs school in the UK. Their first ski trip, Hazel Oak School returned for several years before a lack of funding curtailed this activity. 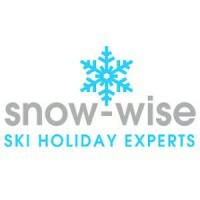 We were able for the trips that were taken, help with the cost of the ski instruction via a generous private donation. Our relationship with the resort has developed over the past 10 years and we rate it now as one of our top destinations for adaptive and assisted skiing. 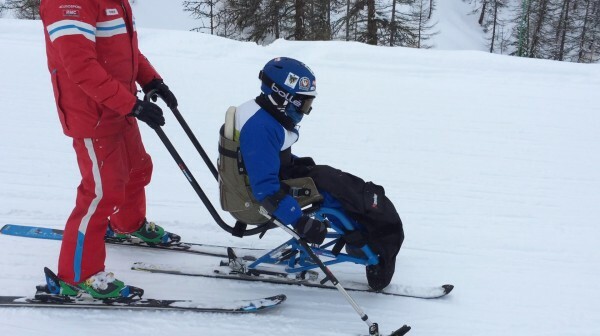 Whether you have a physical condition, are in a wheelchair or you have a child with autism or Down's Syndrome, the list goes on but Montgenèvre and the ESF Montgenèvre are highly recommended to help you with your ski and winter holiday. We are, and continue to be, extremely grateful for the suppor that the ESF have shown us and they kindly donate an annual amount to help support our work. If you, a friend or family member have any of the following then Montgenèvre might work brilliantly for your ski or summer holiday. This is by no means an exhaustive list (it would be impossible to include every condition) but many have similar or common factors. As often someone may have a condition that we have not yet come across please do ask us if you are interested in the resort and we can try to help. Montgenèvre has a great selection of hotels, apartments and chalets suitable for all visitors. Accessible accommodation in Montgenèvre is also available for wheelchair users (dependent on type of wheelchair) and those with limited mobility. The only thing lacking in Montgenèvre are more 4 or better quality 3 hotels. The Anova is really the only hotel although there are others but not suitable for wheelchair users and even for those with mobility they can often be used by school groups or others and perhaps don't offer a relaxing atmosphere but if you are on a budget then why not?! However, there are some great self-catering apartments such as the CGH Napoleon which are the best suited for accessing the ski area - although those in the Hameau are fine but if snow conditions are heavy then not ideal unless you have your own car. In addition there are some other privately owned places to stay that offer a warm welcome and are more in the way of B & B with added trimmings! One of the ski instructors at the ESF also does B & B with dinner. We have had a family using the xxxxxxxx whose child is in a wheelchair and so much will depend on your own needs and what you are happy to compromise on. To request further in-depth and comprehensive information on Anova Hotel contact us. Fabulous apartments with swimming pool and well-ness/spa. Ideal location - just a quick walk or wheel across the road to the ski school and ski slopes. To request further in-depth and comprehensive information on CGH Napoleon Apartments contact us. For more information on mountain activities in Montgenèvre please contact us. 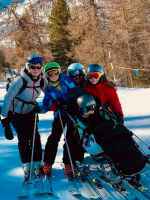 ESF Montgenèvre is an ideal ski school which will offer an extremely warm welcome, has some excellent ski instructors and nothing seems to be too much trouble. They are happy to welcome everyone and in particular those who have autism, Down's Syndrome, spinal injury, brain injury, post-stroke, hemiplegia, Rett Syndrome, blind and visually impaired....... apart probably from someone who is a fully ventilated quadraplegic and would need to be within easy distance of a high supportive hospital, anyone can learn or re-discover skiing and snowboarding with them!! Catherine Cosby, Founder of Ski 2 Freedom, has known the ski school for over 10 years and skied with the instructors. We have also donated several pieces of Tessier sit-ski material and continue to recommend them as one of our top 10 ski schools in France. To get a better idea and understanding of the ski resort of Montgenèvre and what else they can offer you for your holiday, we suggest you look up their website as every Tourist Office offers a fascinating and exciting insight into what they and the surrounding area can offer visitors. In addition many have a dedicated website or page for those who are in need of assistance, disabled, with young children and babies and those of us just getting on a bit in life! We are delighted to work with and have the support of the following organisations in Montgenèvre. 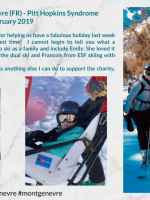 Friend of Ski 2 Freedom Foundation - Alpine & Mountain, Fraser Wilkin and his team at Snow Wise are supporting our work in encouraging people to the mountains for life-enhancing moments with family and friends. A small but dynamic ski company with an excellent reputation and knowledge of the mountains and ski areas. Offering mostly hotel-style accommodation, in Montgenèvre they offer the CGH Napoleon Apartments which suit our beneficiaries so well. All the news, feedback articles and press releases illustrate how Montgenèvre helps to enhance people’s lives. 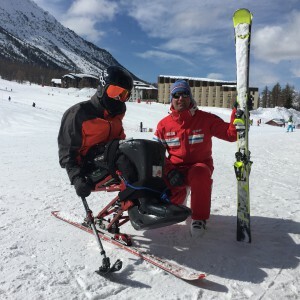 Also, in many cases, showing how Ski 2 Freedom works in close association with Montgenèvre to help raise awareness of the empowering benefits of mountain activities such as skiing and promoting accessible, social and inclusive tourism. If on reading our Montgenèvre page, you have your own experiences and feedback of the resort (winter or summer) that you would like to share or feel would be encouraging to others, please do not hesitate to send them to us for inclusion on both our website and social media – photos and film clips also welcome.